You have TWO WEEKS to play along - Deadline to enter is Friday, June 22,, 2018 at Midnight CST. The winners will be announced on the NND blog the following Monday. 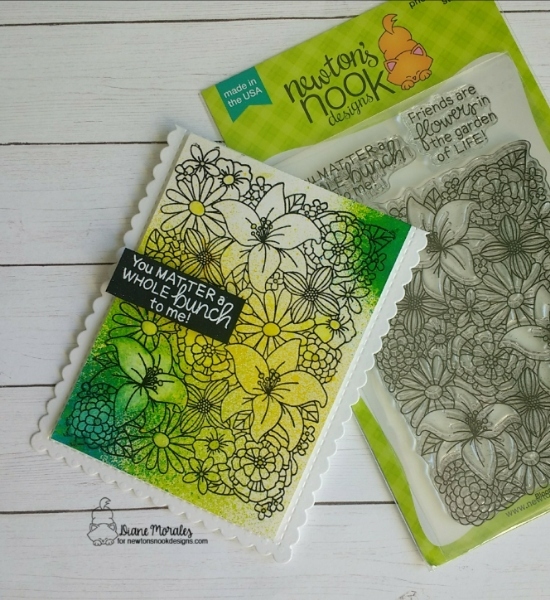 Debbie Owens brings us a fun summer scene using Newton's Summer Vacation stamp set. The cute polka dotted raft is floating on some embossed waves which were created using the Waves stencil. the Frames & Flags die set. 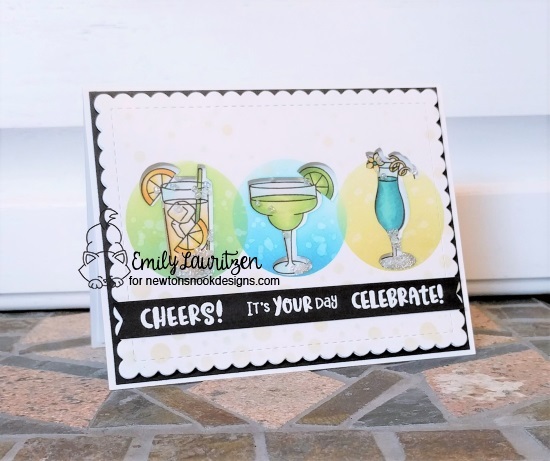 Emily Lauritzen knows how to celebrate with this festive card created with the Cocktail Mixer stamp set. She creates fabulous backgrounds behind those delicious-looking drinks using the Bubbly stencil. The scalloped frame was created using Frames & Flags stencil set. 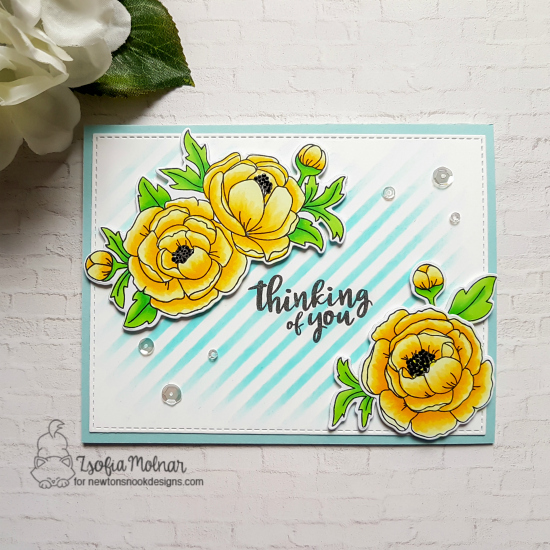 Zsofia Molnar designed this gorgeous floral card using the new Peony Blooms stamp and die set. Her shading of those beautiful flowers and leaves look wonderful on the ink striped background. 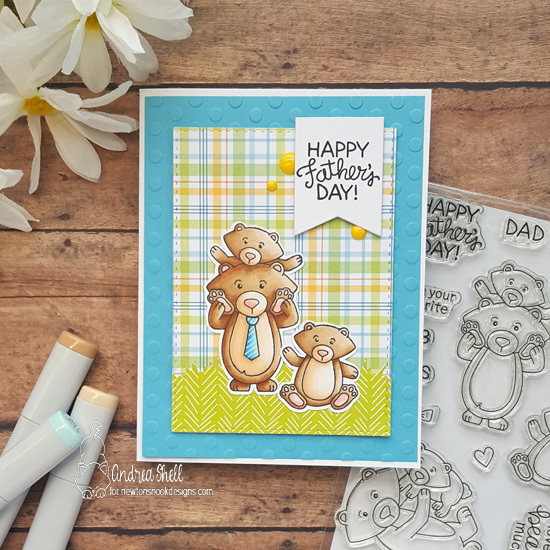 Andrea Shell creates a darling Father's Day card using the Papa Bear stamp and die set. 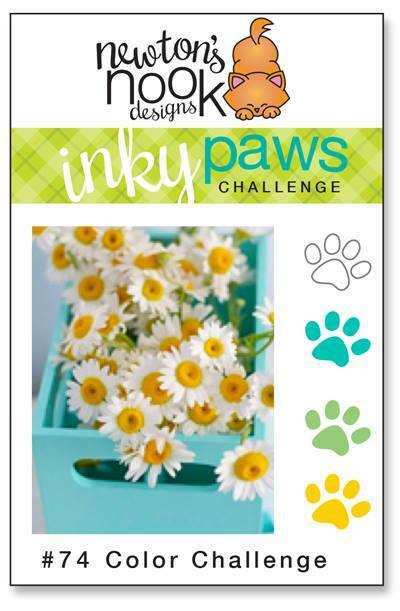 The plaid paper uses the challenge colors wonderfully. What a fabulous way to celebrate Dad! 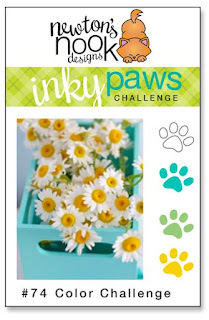 Wonderful color challenge and design team inspiration. Lovely work by DT thanks for sharing and thanks for the new challenge!